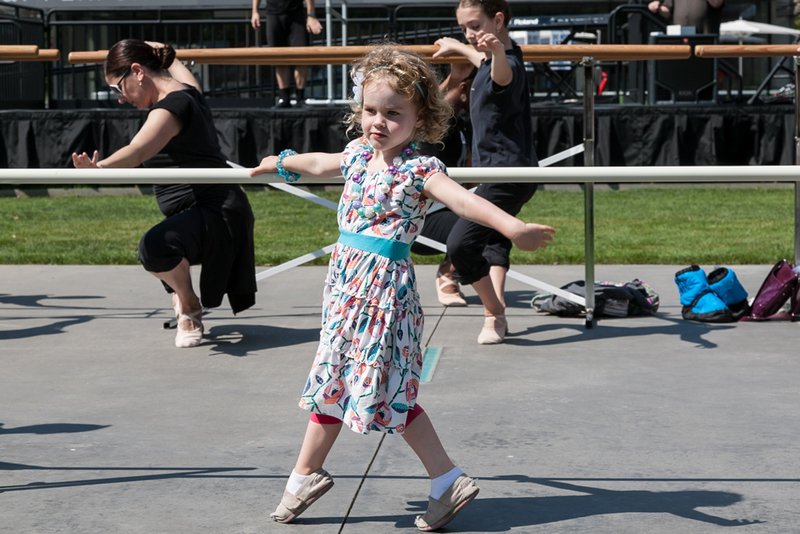 Ballet barres fill the AT&T Performing Arts Center campus for Big Barre, an outdoor ballet class for everyone. 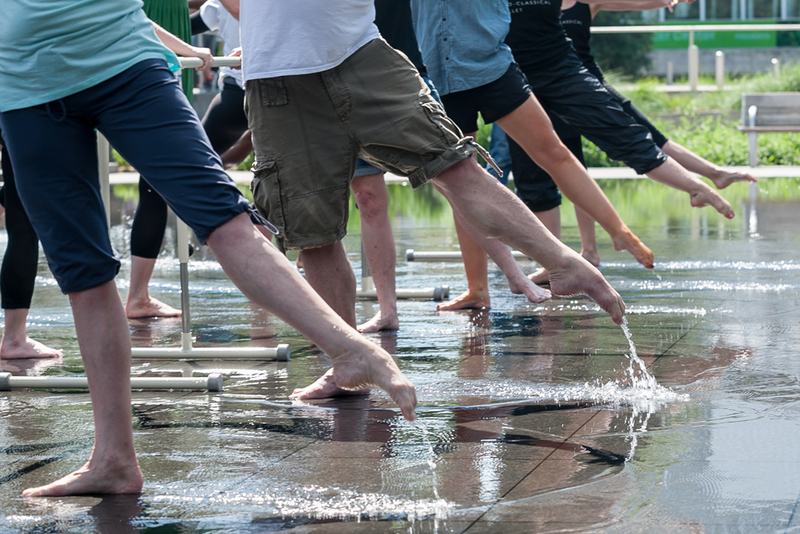 All levels of dancers are welcome to experience this fun outdoor ballet class in the beautiful Dallas Arts District. 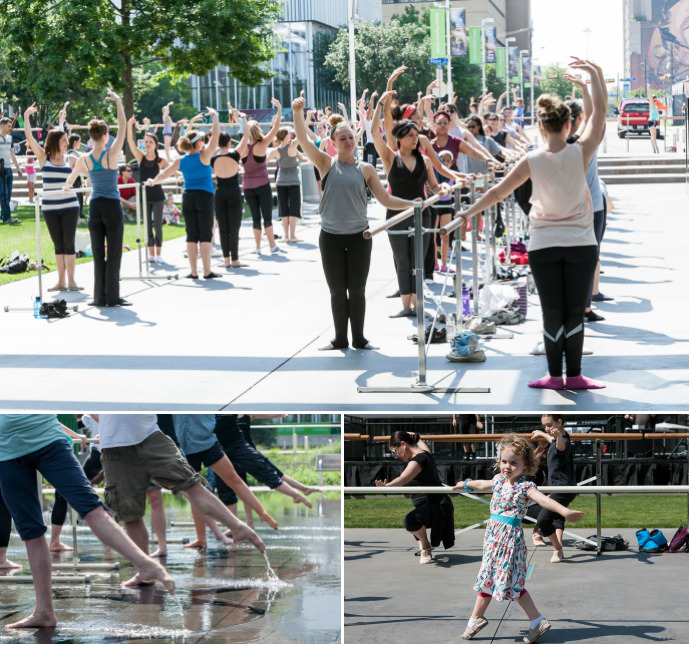 This free class is open to the public, as spectator or participant – your choice! Comfortable clothing, socks, sneakers or flat ballet shoes are recommended. Sunscreen and bottled water are also suggested. Free parking is available for class attendees beneath the Winspear Opera House in Lexus Red Parking. Rain location Booker T. Washington High School for the Performing and Visual Arts.